The video is a potent marketing tool. Engaging video content is being used by more than ninety percent of the marketers in their content marketing strategy. Videos influence the buying decisions of audiences. 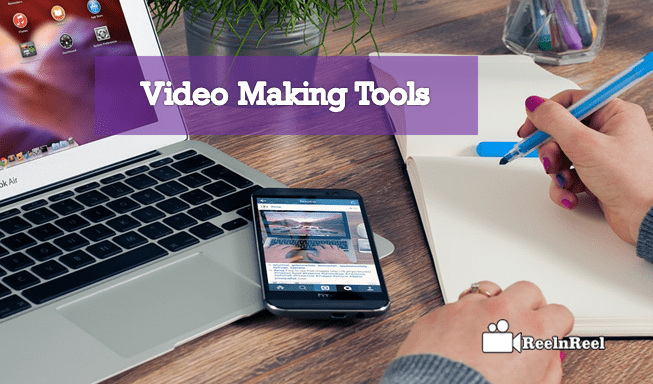 Here, We compiled the best 50 Video Making Tools for the Video marketers and content makers. These are best for attracting viewers, increase conversions. Other benefits from marketing videos are – they promote brand recall, increase engagement and drive sales. There are best video making tools that help to create professional looking videos in minutes. Animoto helps in creating videos using photos, text, video clips. It has music in its library which can add to the videos. There are many customizable video templates. A free trial is available. Professional looking animated videos can create with GoAnimate in no time. This can be used to create product demonstration, training and explainer videos. A free trial is available. Powtoon is another video making tool which can be used to create videos with photos and texts from the computer. Sellamations is another interesting video making an online tool that also offers such as scriptwriting, storyboarding and voiceovers. VideoScribe helps create interesting animated videos with the graphics in its library. The text also can be added. Evaer allows recording videos and cameras with audio only, local webcam and remote webcam modes. Five minutes of video can record for free. 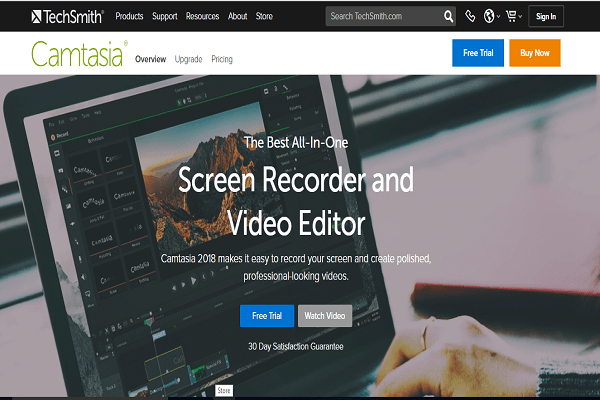 Camtasia tool can be used to create videos with the screen recording. Voiceover also can be added. Wirecast is live streaming software which can use for sporting, educational and other events. AVS video editor is one of the best tools for video marketers. There are lots of impressive features to create stunning videos. Abode Premiere Pro is a paid tool that allows creating and editing marketing videos. Professional marketing videos can be created online with Wideo. Render Forest is a tool for creating videos and animation videos like intros, slideshows, etc. Viewbix allows creating and editing professional looking videos and share them on social networking sites. PowToon allows creating amazing videos and presentation and gets better campaign results. ScreenFlow is a tool for Mac users. Screen capturing and video editing services are available. Magisto offers video recording editing services. Created videos can be shared on social media sites. Common Craft can be used to create videos and animations to capture the feelings of the customers. Vidyard allows recording direct videos and is also a video editing tool. Video campaign performance also can be measured. Slidely is a tool to create quick videos with photos, clips, and existing videos. WeVideo has impressive features to create video content in minutes. Highly engaging videos can be created with the help of video editing tool Filmora. Abode Spark allows creating, customizing and sharing videos and visual content. 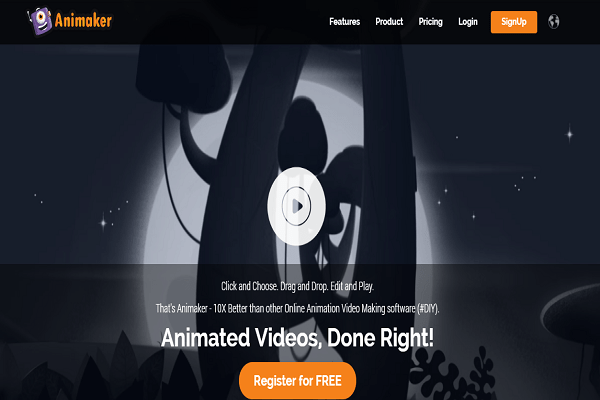 Animaker is a cloud-based video maker suitable for any budget. Biteable is a simple video maker, and the videos can be customized easily. Creative explainer videos can be created with Animatron quickly and professionally. iMovie tool can be used to produce quality videos with footage and photos. Magisto is another tool that helps to create videos with photos and clips. Rips is phone can that helps in creating animated videos with photos, and the end video can be shared with social media channels. Rocketium is a free online video making tool that also offers the automatic translation. Shakr allows creating videos easily from different kinds of media files. Typito allows creating videos using a drag and drop interface, and this is cloud-based software. Viewbix helps create marketing videos in easy steps. Logo and CTA buttons can be inserted in the videos. Common Craft can be used to create unique videos through photos and paper outputs. ViewedIt is one of the best screen recording tools for creating product demos or instructional video. VideoShop is an app that allows creating videos with the slow-motion effect, and the end product can be shared on social media feeds. Intro Maker is another exciting tool to make intro videos quickly and is very easy to use. Intro Cave is another easy to use a tool and uses the paid version to get rid of the watermark. Moovly is another tool for creating animated videos. Renderforest is a video maker that helps in creating slideshows, logo animations, and explainer videos. Windows Movie Maker is easy to use tool for making videos. RendrFX is a tool which can be used for free in the beginning. Video ads, intros, and social media videos can create. Kizoa is a video maker and editor for lots of features to create engaging marketing videos. RawShot is a do it yourself whiteboard animation creator with exciting effects. MySimpleShow helps create interactive visual explainer videos. Lumen5 is a tool that helps create videos from a text by highlighting it. Ezvid is a tool that can be downloaded to capture the software that runs on the computer; it also offers voice recording, screen drawing, and other features. Promo tools have millions of stock videos that can be used to create branded videos. Quick is an iOS and Android app, and there is also a desktop version that allows working with photos captured on GoPro. Typito is another simple Video Making Tools which allows creating a free account for the users. Wave is an easy to use tool with millions of stock videos and allows creating a square, vertical videos. The video is the king of content. Creating videos is time-consuming and not every business can afford to hire professionals to shoot and create marketing videos. Online Video Making Tools allow creating marketing videos in just minutes of time and share them online with the audience. Create video easily that suit the marketing objectivities with these tools.